If you are a serious (and I mean serious) fan of the frog, you are in for a real treat. The Book of Frogs is a meticulous field guide to 600 diverse species of frogs, including wonderfully striking, life-size photographs for each and every entry. 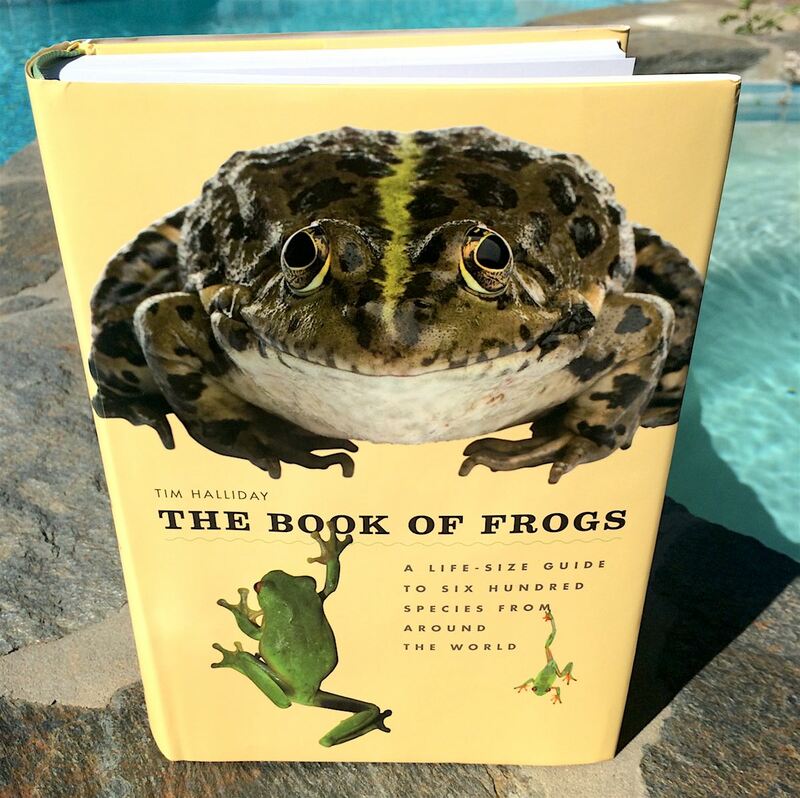 From poisonous frogs to tiny toenail-sized frogs, whistlers, “explosive breeders,” endangered frogs, and recently discovered frogs, author and one of the world’s leading frog experts Tim Halliday covers an exhaustive gamut of frog species from around the planet. Although a wonderful source for anyone trying to decipher and learn about frogs they find in nature, it’s a hefty, weighty tome of a book and would probably do better on a coffee table than inside a backpack. 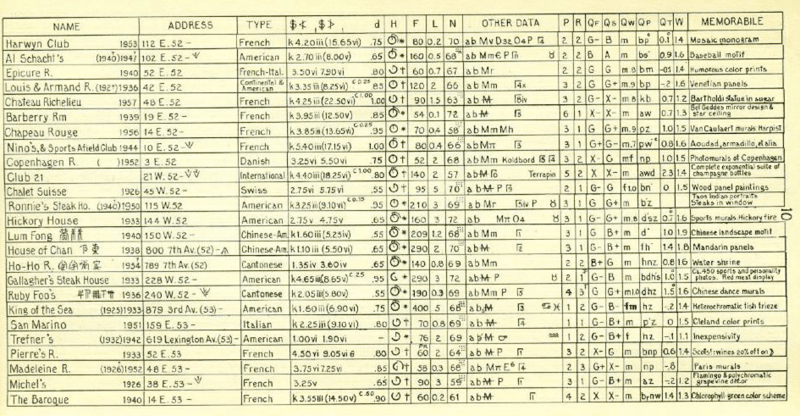 This is a page from Gustavademecum for the Island of Manhattan: A Check-List of the Best-Recommended or Most Interesting Eating-Places, Arranged in Approximate Order of Increasing Latitude and Longitude — Prepared for the convenience of mathematicians, experimental scientists, engineers, and explorers. Which is possibly the best name for a dining guide ever. Physical chemist Robert Browning Sosman passed this pocket-sized guidebook out at conferences and updated it regularly between 1941 and 1962. The key feature: Sosman's ... somewhat unique ... observations about the restaurants he visited. And the fact that much of that information was encoded in a sort of proprietary shorthand, cribbed from scientific symbols. The result looks something like a cross between restaurant listings and an alchemist's workbook. Sadly, the Saveur.com story that this comes from doesn't include a cheat sheet guide to deciphering Sosman's shorthand. A major disappointment. Perhaps one of you can add to the information here?